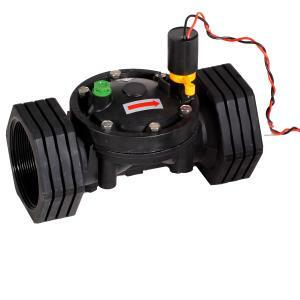 This is a heavy duty In-Line DC valve with no flow control and a 2 wire S1602 DC Latching Solenoid. This valve is a 2" internal valve with 3" FPT inlet/outlet connections. Manual or automatic operation. Rated for up to 145 PSI.